Will we ever use this beer bottle designed for space? Is it time for Craft beer to move into the final frontier? An Australian partnership believes so. 4 Pines Brewing and Saber Astronautics have partnered to design both a bottle for use in space, and a beer to suit the pallet of zero g drinkers. They call it Vostok Space Beer, honoring the craft that sent Yuri Gregarin into space, and launched a million dollar IndieGoGo campaign earlier this week. Interest seems low. The striking bottle design by Angelina Kwan is named "Dark Side of the Moon". It's highly stylized and would fit better on the set of Star Wars than 2001: A Space Odyssey. Space age design elements are cool. I love to see increased use of scientific motifs in design, even if it's not hyper realistic. The PR photos are designed with the commemorative market in mind, and have a nice detachable glass at the bottom. The technological design brief is to find an artful way to move liquid from storage to the drinker. The Vostok project is committed to the long neck bottle as we know it. That means no plungers. No tooth paste tubes. Nothing that could have been in a cosmonaut's pantry. 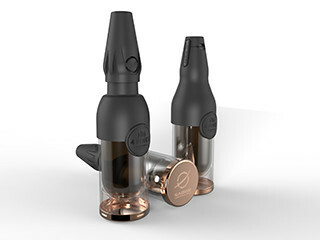 The idea in this design is to use the beer's surface tension to wick the beverage from the bottle to the outlet, on demand. All of the technology is hidden in the black top of the bottle. Similar techniques are applied to fuel tanks, to manage the risk of bubbles causing troubles. It should work. Most likely, the space version of the bottle would be glass free and built with slightly less photogenic polycarbonate or polypropylene . I'm not sure the commitment to the bottle is necessary. It's not like bottle drinking is a celebrated part of the terrestrial craft beer experience. However, I have to admit that the design is great for publicity. 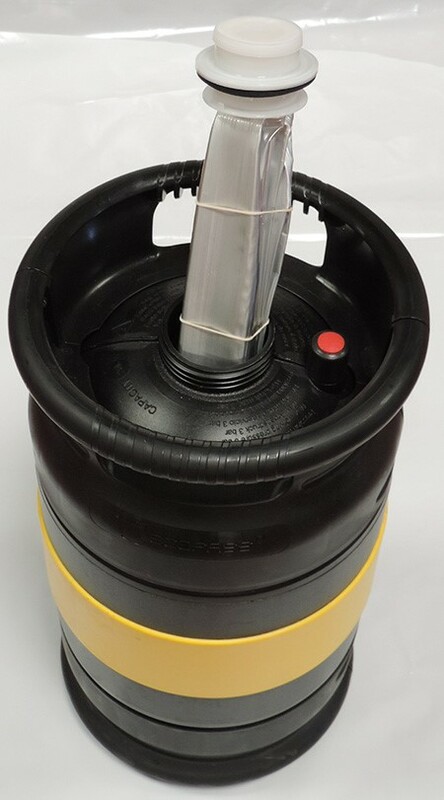 My prediction is that space beer will fist be served in a bag, in something similar to a camel pack, or to be more product specific, an Ecofass keg. Maybe some sort of sparkler will be incorporated in the head to infuriate CAMRA. I'd like to comment on the beer reformulation, but i can't find evidence about what would differ from the terrestrial 4 pines stout. Anyone who has flown on a long haul flight can attest that nothing tastes quite right at altitude. Airlines spend considerable effort selecting wines that have some flavor in the air. I wish they'd dedicate similar efforts to the beer.